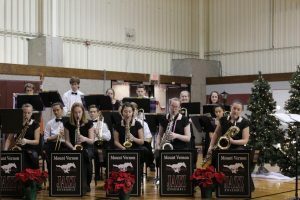 At the Mount Vernon Festival of Bands, the sixth, seventh, eighth, high school, and jazz bands performed showcasing the musical progression through the grades. 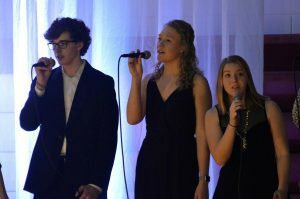 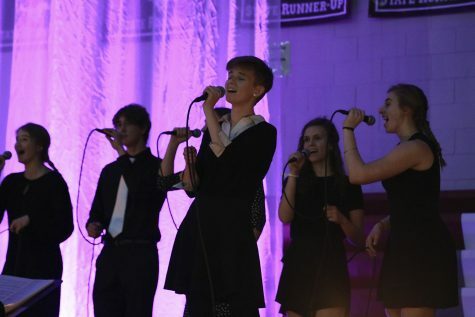 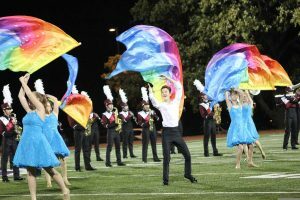 Under the direction of Scott Weber and Elise Rodenberg on Feb. 27, each band took turns performing the songs all of their hard work has gone into. 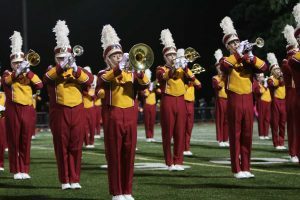 The finale was the “William Tell Overture,” presented by the entire school. 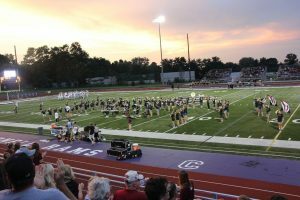 through all of the grades so it kind of introduces all of the parents to the different grade levels and how we progress,” said junior Nicole Homrighausen. 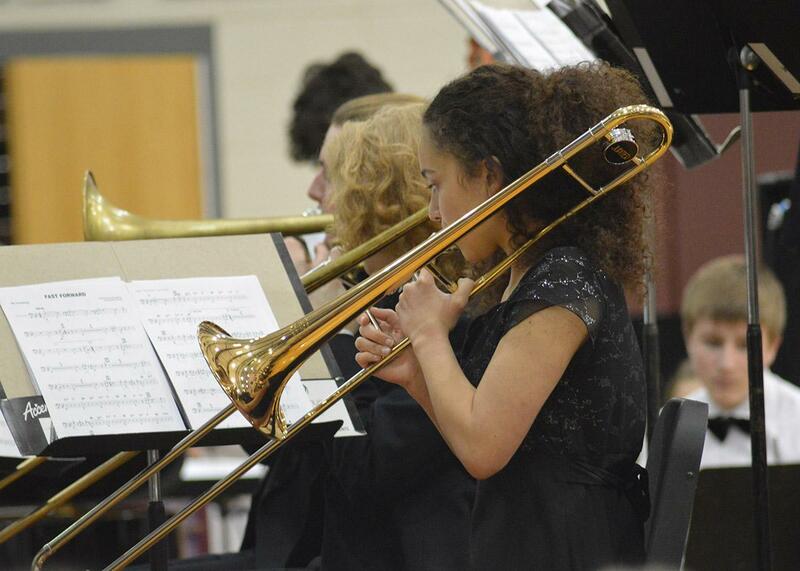 Junior Alanah Malone plays her trombone. Overall, the Festival of Bands concert was a big success. 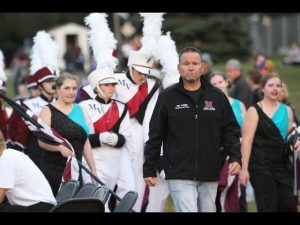 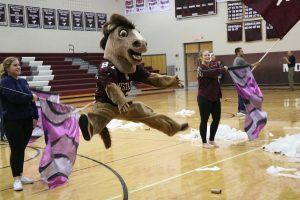 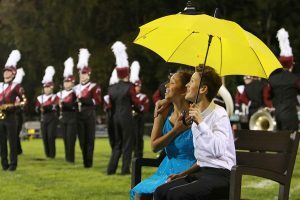 The bleachers in the gym were overflowing, and the taco bar fundraiser before the concert raised $2000 for the Mount Vernon Marching Mustangs. 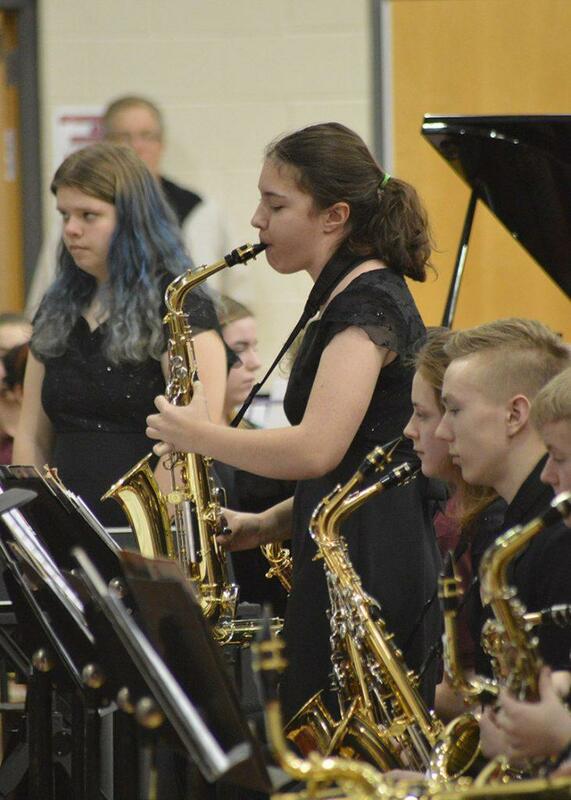 Sophomore Lily Cripe plays a solo on her saxophone.